The good will of the Veterans of Foreign Wars reaches far beyond the realm of veterans helping veterans. 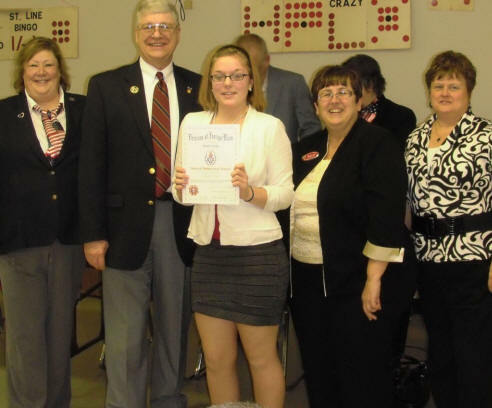 In fact, direct involvement with America’s youth and communities has always been and always will be a VFW priority. Recently, Onekama High School junior Elizabeth Bergren placed first at the District Level in Mecosta. Bergren’s essay was selected based on originality, expression of ideas in an organized manner, and speaking in a clear and credible manner. This win moves her to the state competition level to be held this weekend in Kalamazoo. Bergren will participate in a weekend long event with other students competing for the Michigan state title sponsored by the Veterans of Foreign Wars.